With the election hype hitting fever pitch, the Malaysian populace is abuzz with discussions of the upcoming polls that will fall in early May. While many are relieved to have the official date of GE14 finally revealed, there are some who are concerned about the timing of the polls and the fact that it falls right smack in the middle of a work week. Some of the issues raised touched on the question of whether or not employees would be allowed to take the time off to vote (the declaration of a public holiday has now appeased those concerns), while others were unhappy with the mess-ups to their travel plans. 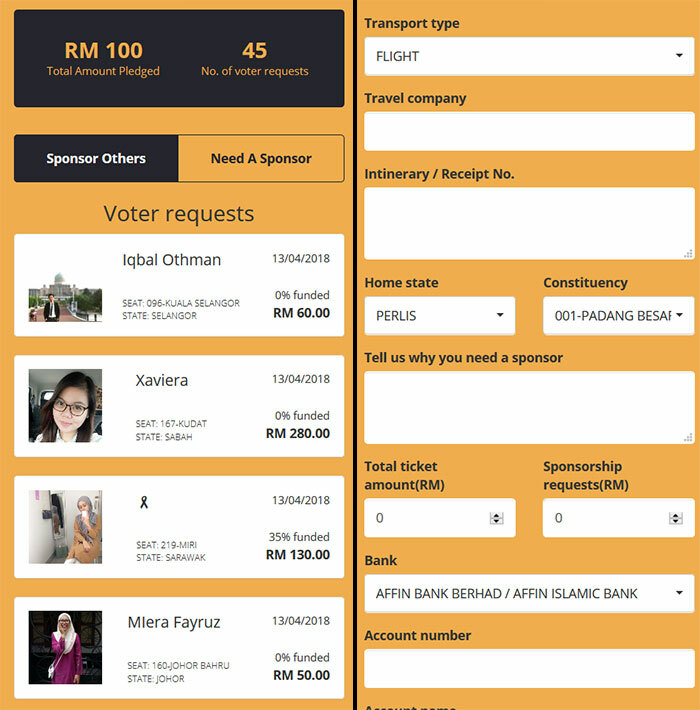 Aiming to further ease the process for voters (just as some other parties have done), a website called PulangMengundi.com has been created to provide a bit of assistance to Malaysians who need to travel long distances on May 9. 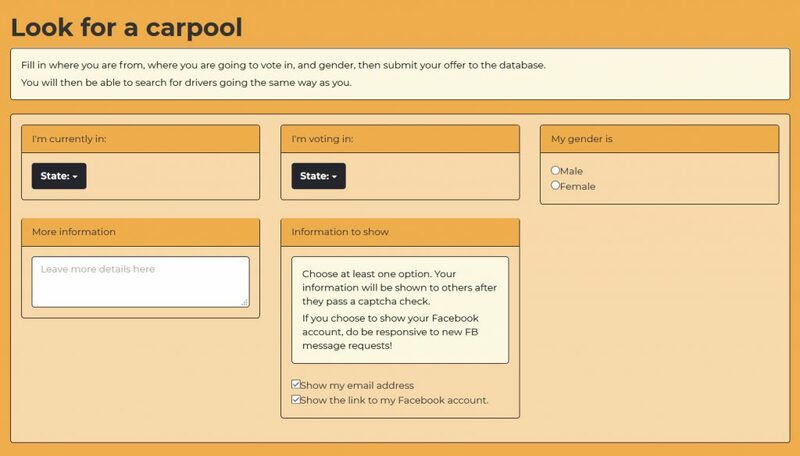 The website works by helping voters with difficulty getting transport to their polling stations find a driver to carpool with, or by linking them with donors willing provide them with cash subsidies to help them afford flight, bus, or train tickets. To use the site, PulangMengundi.com requires that you sign-up with your Facebook account to ensure the legitimacy of your profile. From there on, you can request for a car ride or a monetary subsidy, or choose to help others out by listing your carpool offer or by fulfilling a donation request. 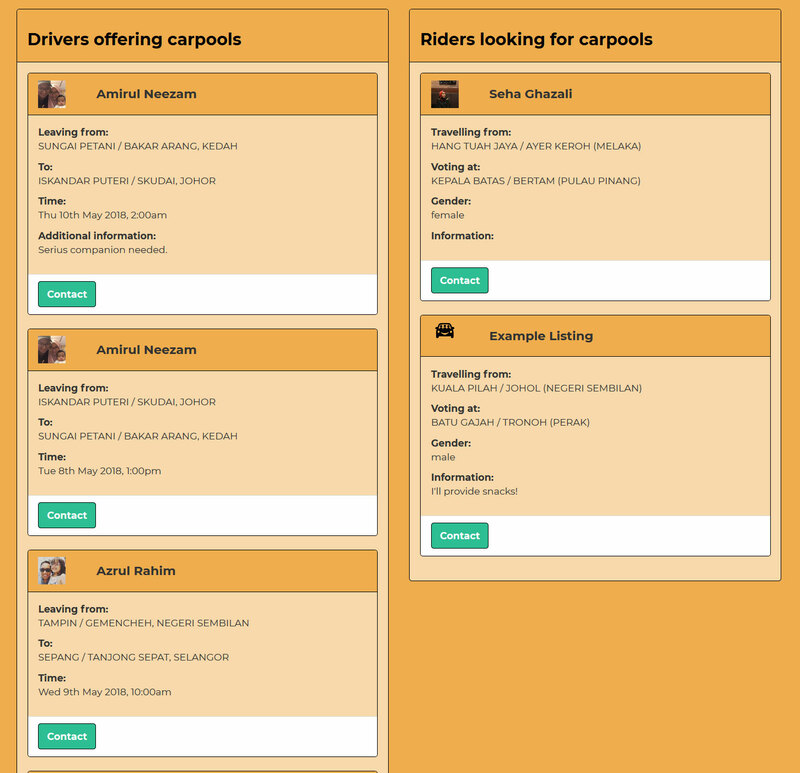 PulangMengundi.com lists down carpool requests as well as open carpool offers. For carpooling, those in need of transport will be required to state their current city, the city of their voting constituency, gender, and provide either their email address or a link to their Facebook profile. 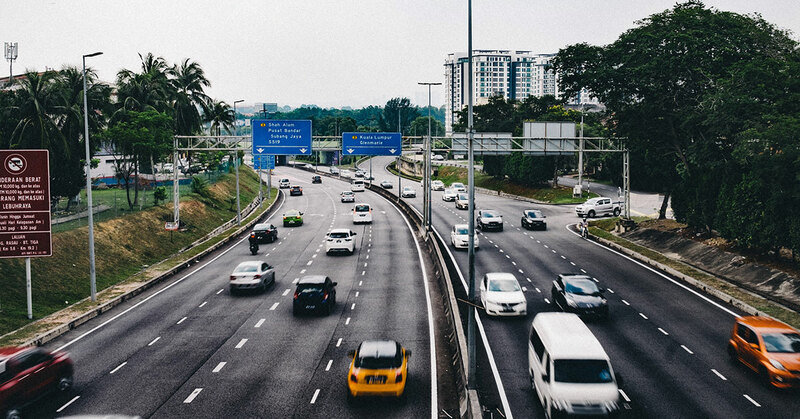 Drivers who want to offer their service can also put up a listing on the website by providing their current location and where they’re travelling to. For cash subsidies, recipients will be required to fill in their travel details, home state and constituency, the requested donation amount, and the reason why they need the cash aid. Also, PulangMengundi.com will require potential recipients to provide their bank account details, which will only be revealed to donors who actually intend to provide a contribution. Left: Those looking to offer monetary donations can look through a list of voters in need, Right: To request a subsidy, you’ll need to provide travel particulars, your voting constituency info, and bank details. An important thing to note is that the website doesn’t itself facilitate the link-ups of carpoolers to passengers, and neither does it manage the transactions of subsidies from donors to recipients. Instead, PulangMengundi.com tells potential users of its platform to do their own homework and make personal contact with the opposite party before fully committing to a carpool trip or cash subsidy. It’s great to see initiatives such as these take advantage of technology for the sake of promoting a pro-active and politically responsible Malaysian community. As the date quickly approaches, we expect to see other similar projects appear and will provide coverage on them as they present themselves. To see if you can get help for your travel plans on May 9, check out PulangMengundi.com. Also, be sure to check out the guidelines page before you get started.